If you asked a few people what they think it would be like to work for Google. You’ll most likely hear words like innovative, collaborative, techie and cool. Even if the people you asked have never worked at Google that is their perception of the company. That is the amazing thing about employer branding, the reputation can often precede the experience. 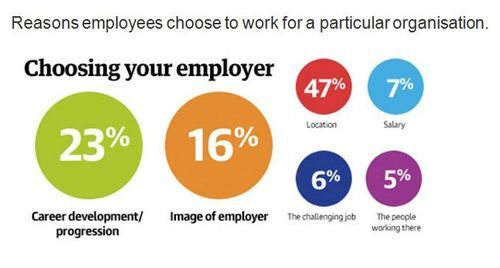 An employment brand is the market perception of what it's like to work for an organisation. It’s the image that your prospective, current and past employees have in their minds about the employment experience at your company. In fact, HRO Today states that positive employment branding can reduce employee turnover by nearly two-thirds. The job interview plays an important role in employment branding and provides an excellent opportunity to promote your organisation as a great place to work. The interview experience works both ways, while the candidate is being assessed for matched criteria so is the candidate assessing if the organisation is a fit for their career aspirations. You only have to remember back to what it was like when you were going for that all important job interview? How did the experience leave you feeling? The positive or negative experience you had would have directly impacted on how you perceived the entire organisation. From an recruitment agency perspective we see this where candidates will flag companies for who they won’t work due to a negative perception of that company whether experiential or rumoured and thereby perception becomes reality. On the flip side we have candidates requesting to be put forward to what they see as inspirational organisations where they feel a strong connection with the company's ethos. Try to see every interview as a marketing opportunity to promote how great it is to work for your company and in doing do so it really pays to put yourself in the shoes of the interviewee. Make them feel what it would be like to work there and how their particular skill set would be valued. Be respectful of their time by recognising that the candidate has already invested considerable time to get to this stage and has probably taken the day off work to attend the interview. Try to revert back quickly with feedback; the most common gripe among interviewees is the length of time potential employers take to get back to them. Even if the candidate is not a suitable match, highlighting the positive attributes gained during the interview will leave them feeling valued and who knows, maybe they will fit in another role you have down the line when they have more experience gained. They will take their experience away and tell who knows how many people what they think of your organisation……Whatever will they say?